More for Less Remodeling is a local, family-owned and operated remodeling company. Our goal on every project is to provide more quality, with less headache for the homeowner. We have an 'A' rating with the Better Business Bureau (BBB) and will provide references upon request. Quality: We pride ourselves on sourcing the highest quality materials possible that meet your vision and budget, as well as a beautiful finished product every time. Service: We understand that each and every client has different needs, and that each project requires the highest level of service we can offer. Communication: We will always be available to address your concerns, listen to your needs and effectively communicate the status of your project. 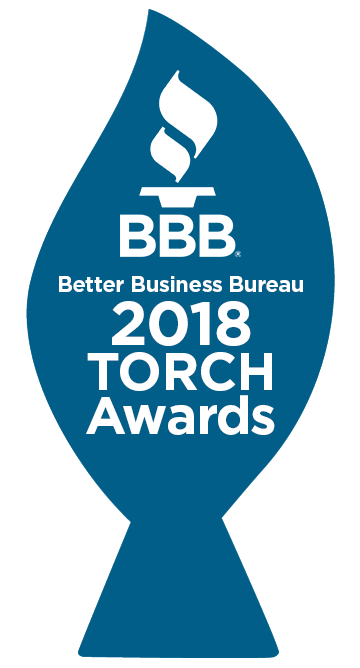 St. Louis, Mo., Sept. 17, 2018 – More for Less Remodeling, LLC is a 2018 winner of the Better Business Bureau (BBB) TORCH Awards for BBB Serving Eastern & Southwest Missouri & Southern Illinois. 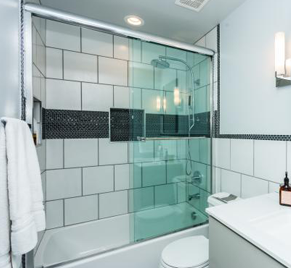 More for Less Remodeling, LLC is a detail-oriented and process-focused home remodeling company. It has been owned and operated by the Courtwright family for 16 years. Co-owner Angela Courtwright says the proof of customer satisfaction that the TORCH Award conveys is “the highest honor we can get.” “It’s really a great way for us to show our customers that we really care about them,” Courtwright says of the company’s BBB Accreditation, adding that it has helped drive leads by sending a positive message to consumers about More for Less Remodeling’s approach to doing business. To schedule your free design consultation and estimate, contact the experts at More For Less today! We look forward to creating the kitchen of your dreams.